Deciding what flowers to plant and where is part of the fun of flower garden planning. 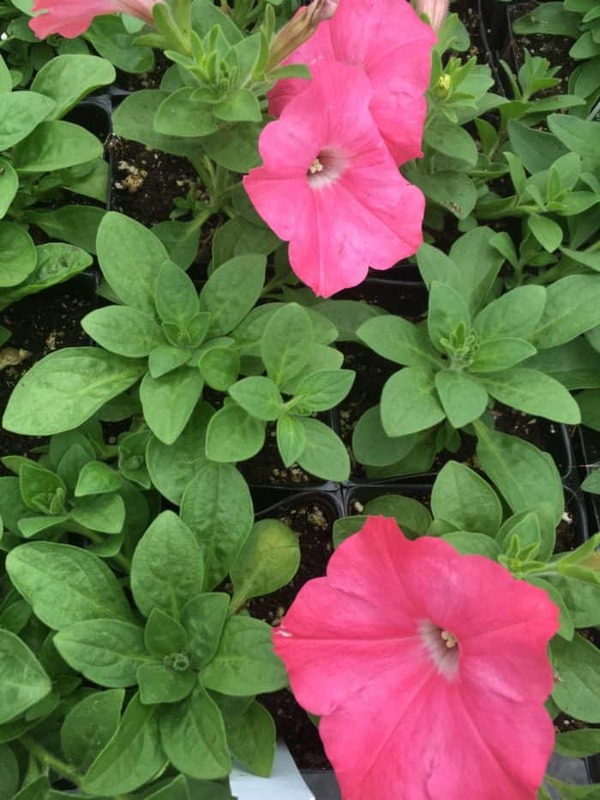 There are many flowers to choose from, and you’ll need to pay attention to whether they are annual plants or perennials. Annual plants will need to be replaced every spring, perennial flowers include bulbs that are planted in the fall or plants like lavender. You can buy seeds for many of these flowers and start them indoors such as zinnia seedlings, or you can buy plants that are ready to transplant into your garden. 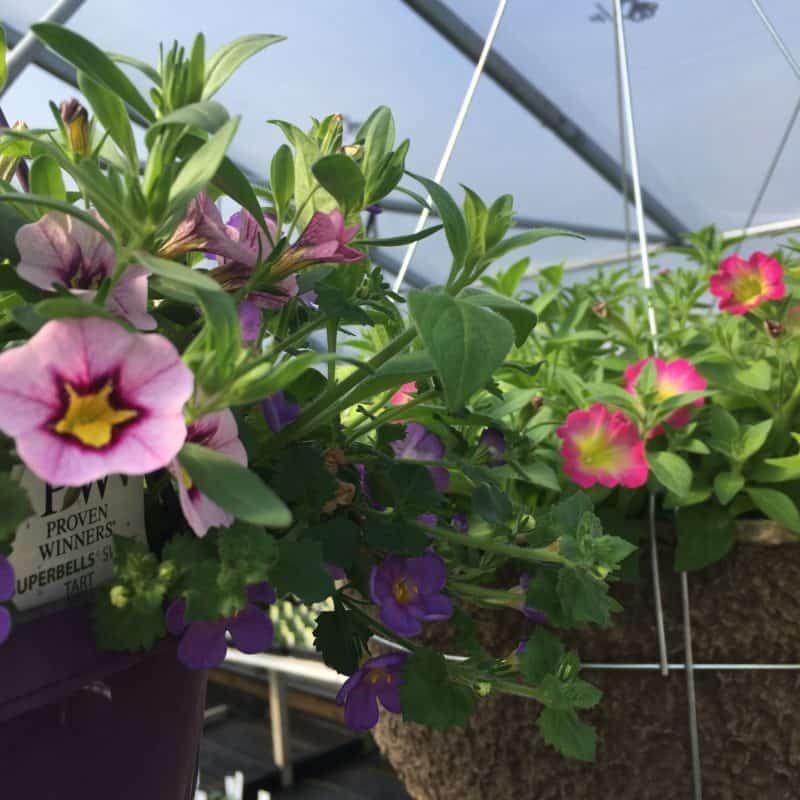 Most flowers will need to be planted after your spring frost, some need cold stratification, it depends on what you’re growing. Many flowers take many weeks to start from seed. This can take up your time, and isn’t always cheaper. Plants like lavender can take 12+ weeks before they are a decent enough size to transplant. Other flowers such as marigolds, zinnias or calendula you can transplant after 4-8 weeks and are more affordable to grow indoors, especially if you have a seed starting set up already. There are many flowers you can ‘succession plant’ as in plant more than once to spread out blooming times. We do that with nasturtiums for example. How much sunshine do you have where your flower garden will go? 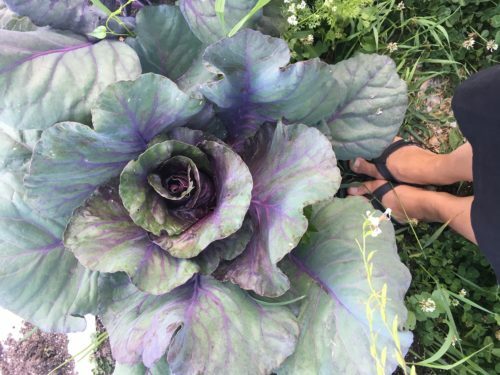 Are you planting certain flowers in your veggie garden to increase pollination or for companion planting. Is it springtime? Many bulbs are planted in the fall, except dahlias. 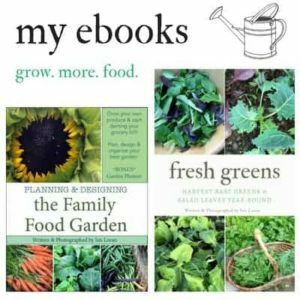 You may have to buy plants or directly sow easy flowers from seed. Do you have drought? Certain flowers are better for these types of conditions. Cosmos, Cornflowers (also called Bachelor Buttons) and wildflower mixes have been adapted for reduced watering. Would you prefer perennial flowers or annuals? 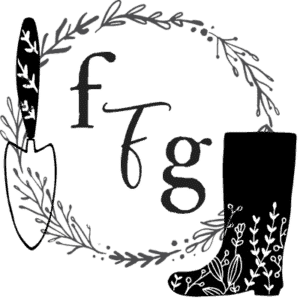 Perennials have the benefit of coming back every year, however you may want to change how your garden looks or try different kinds of flower color schemes. Pay attention to bloom times. It’s a good idea to spread out blooming times with spring, early to late summer blooming flowers. Do you have a shady spot? There are certain ground covers that will also offer some blooms. Are you limited on space? Can you put up some hanging baskets if you don’t have a garden? 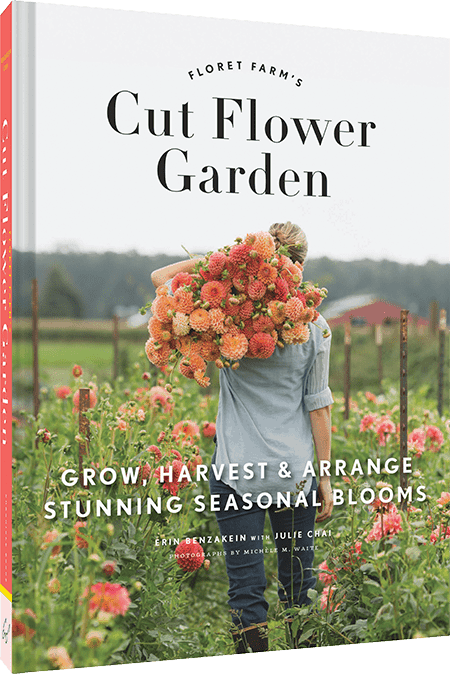 Spend some time looking in seed catalogs or great books such as Floret Farms Cut Flower Book. 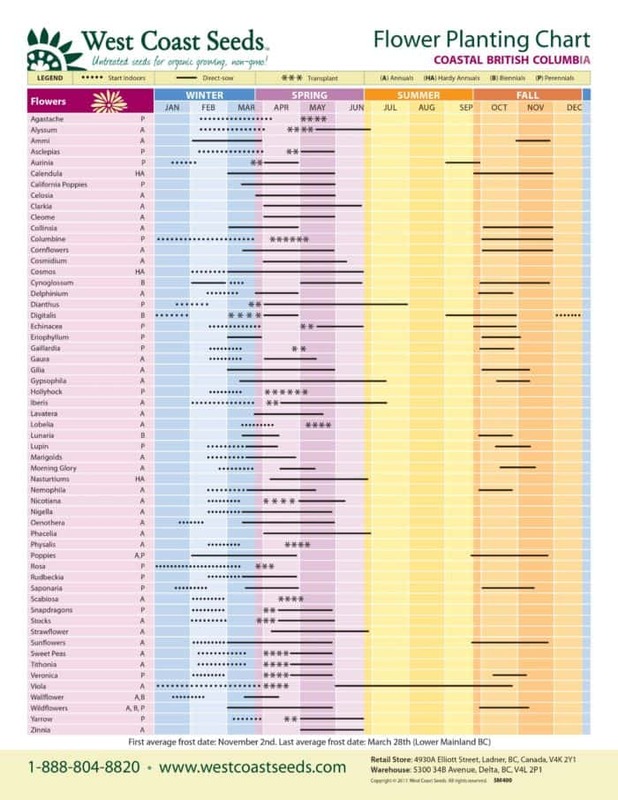 Many seed companies offer free planting charts. I love this one from West Coast Seeds for our region. Look for contrasting colors and leaves and spreading out blooming times. Doodle out your garden and create a garden plan. You can head to the garden center too, and just buy whatever is appealing to your eyes. Just check the tag for growing and blooming information. 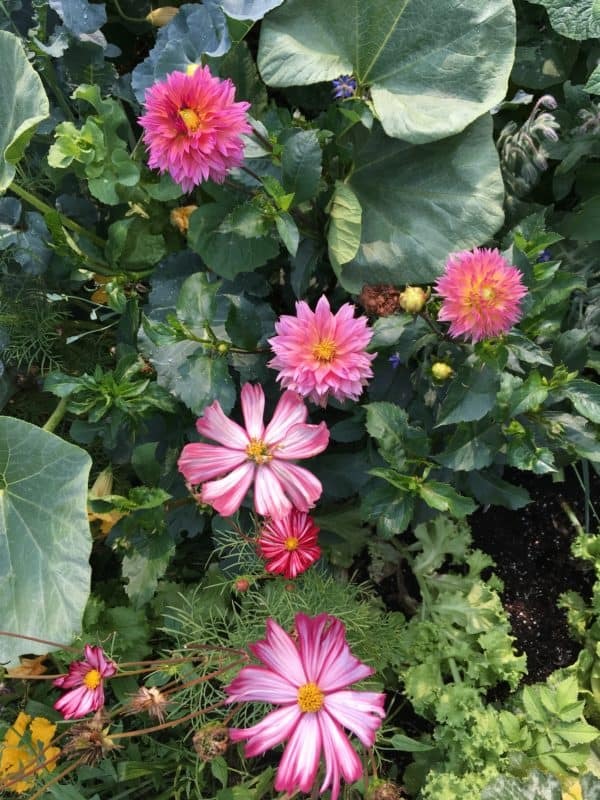 Many flowers appreciate a fertilizer boost throughout the season, others are less finicky such as Cosmos or Calendula. 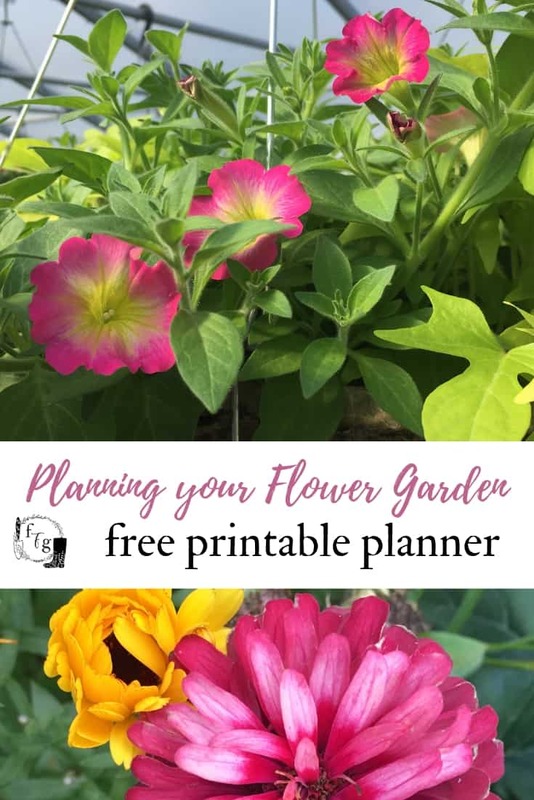 Here’s my free printable flower garden planner for you!